It’s strange to think of a world that speaks just one language. Considering how language colors our worldview, a monolingual world would be relatively colorless. Variety is the spice of life, as they say, and today there are over 7,000 languages being spoken. In keeping with the saying, this makes our world pretty spicy. The issue is some languages are spoken by billions of people, and some are spoken by just a few. Some living languages are spoken by just one person, sadly. 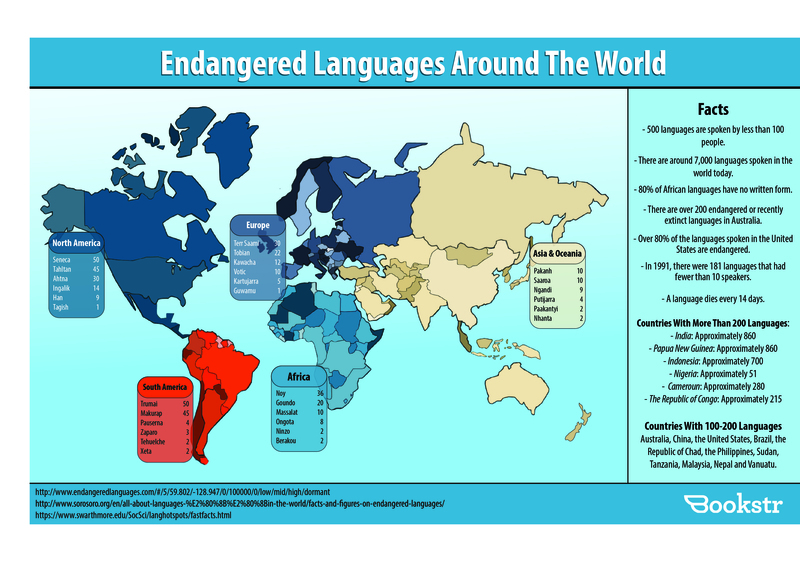 The good news is there are people out there trying to protect endangered languages, such as The Endangered Languages Project, which is where much of the information in the infographic is from. Ethnologue is another key resource for understanding global languages. Although thousands of languages are spoken around the world, according to Ethnologue, just twenty-three languages account for half the world’s population. There are about 7 billion people on the planet, and over 1 billion people speak the various forms of Chinese. 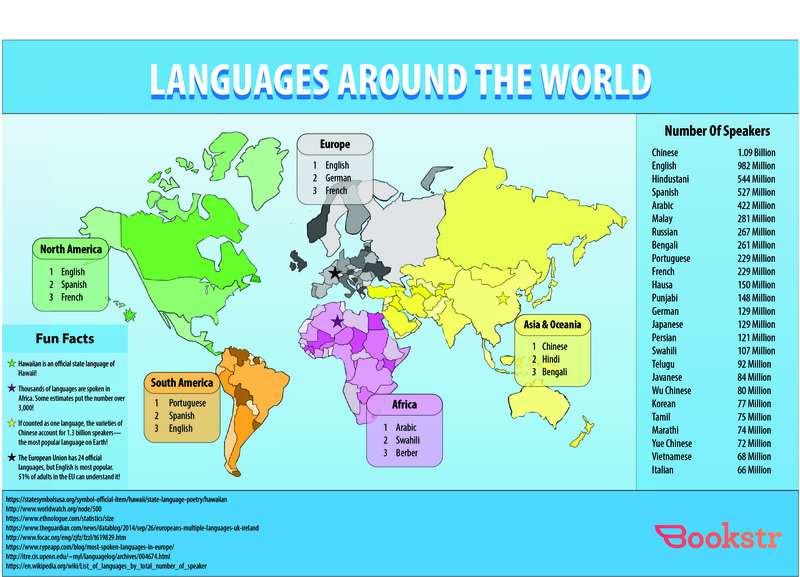 Check out the infographics below to begin to get an idea of some of the world’s wildest language facts. 7,000 is a big number, and let’s make sure we keep some of these lesser-spoken languages kicking. As already established, variety is the spice of life!